If you need help in your gardening work and don’t have the time and skills to do it, we can help you. Our gardeners can take care of your plants, walkways and whole outdoor area doing the innovations and corrections which are most necessary. They can provide the work in a suitable time and do the needed gardening one off or regularly, depending on the preferences of the customer. 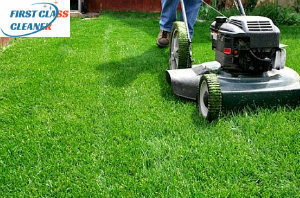 Rely on our gardeners who work in the area of London to make your house more inviting and looking much better. If your garden has overgrown, needs proper maintenance and regular cares, get in touch with us. We will send any of our skilful and experienced gardeners to take care of your plants. They will shape the bushes, trim the hedges, cut the surplus tree branches, mow the lawn with specialised machines for this purpose. If the soil in your garden isn’t healthy and rich enough, our gardeners will apply the proper fertilisers. They can remove old turf and seed new one, water your garden, install new fence around it. Use the reliable services of our gardeners which we provide in London every day in the week. After the required gardening is completed, we will clean your whole garden area and pressure wash the pathways and walkways in it. 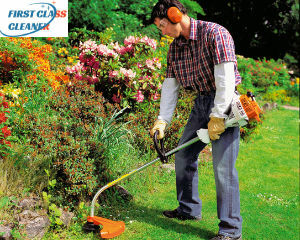 Our gardeners will make your outdoor areas clean and neat using modern machines, the proper instruments and detergents. From creating a new garden design, garden maintenance to clearing your outdoor area, we will do what it takes to make your home and commercial property attractive. Get in touch with our company, located in London and we will send our gardeners to your address as fast as possible.